The announcement of Bette Midler's first studio album in eight years was one of the most unexpected pop moments of this year. 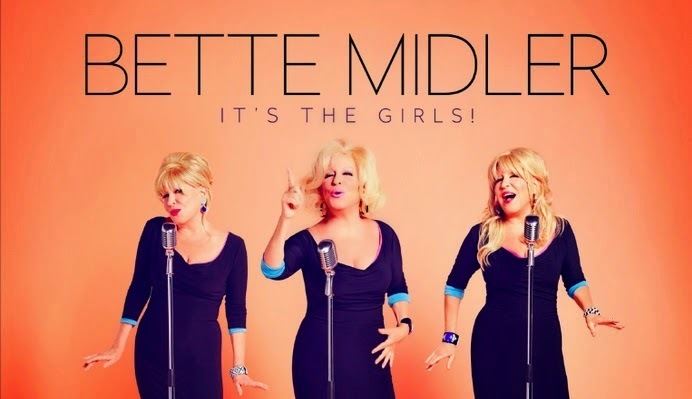 The Divine Miss M will be tackling a variety of girl-group classics on It's The Girls, scheduled for release this November. We received our first taster of Bette's new tracks when she hosted her own special For The Girls on BBC Radio 2 last month. The singer showcased her versions of Give Him a Great Big Kiss, Too Many Fish in the Sea, You Can't Hurry Love and One Fine Day, amongst others. These covers sounded fresh, energetic and joyously upbeat, so we cannot wait to hear the rest of the album. It's The Girls is out in the UK on November 17. The album hits US stores earlier on November 4. Our minds, bodies and souls are ready.